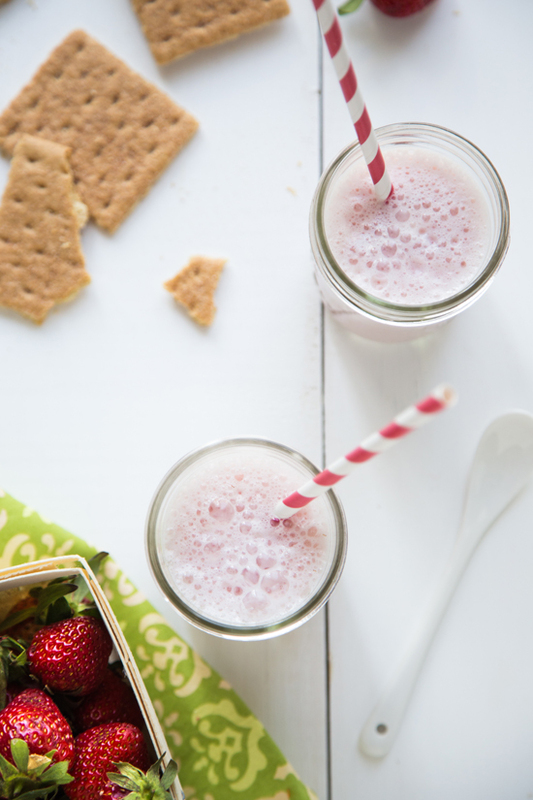 Let’s talk strawberry milk. Because this is strawberry milk that you can actually call strawberry milk without bending the truth. As in, it’s made with strawberries. Not the neon pink syrup that comes in the bottle. You remember that stuff, right? My kiddos are huge milk drinkers. Huge. If given the choice, the Baby would always pick chocolate milk over white, but doesn’t usually fuss about drinking white milk 90% of the time. After buying a case of strawberries at Costco the size of my head, I figured it would be a good excuse to try some different recipes with them. Not that we needed an excuse to just eat our weight in strawberries. Because we’re totally into that kind of thing. We had Charlie and Lola on the other day, and there is the whole sequence at the beginning where Lola is drinking ‘pink milk’. That’s what she calls it: pink milk. If you’re not familiar with Charlie and Lola it’s a silly little show on Disney Junior that the kiddos watch on occasion. I enjoy it because Charlie and Lola are British, and I always love a show with British accents. They’re hard to resist. 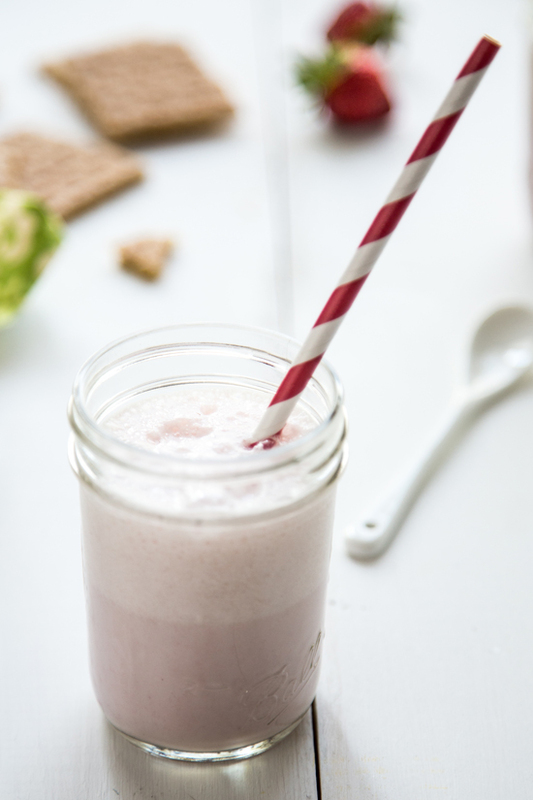 Anyway, the pink milk on C&L got me thinking about the 20 lbs of strawberries chilling in the fridge and how it would be fun to make homemade strawberry milk. Turns out, it was pretty fun. Easy, too. A quick simple syrup is all you need. Cooking the strawberries down with just a bit of sugar brings out their natural strawberry-ness and concentrates the flavor in a gorgeous, not to mention all natural, red syrup. 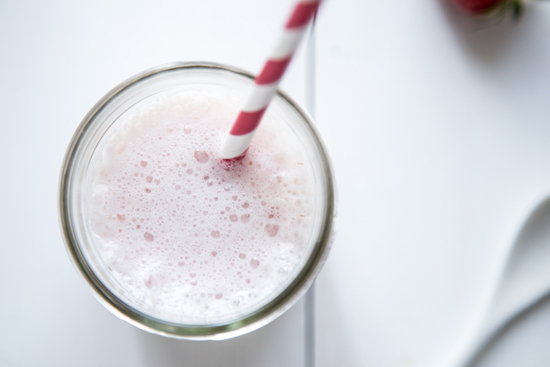 Mixed with a bit of milk, and you end up with the prettiest ‘pink milk’ you ever did see. Seriously, it’s lovely. Tasty, too. Plus, I felt pretty good about letting my kids slurp down a big old cup of it, knowing exactly what I had put into it. That always feels good, too. And, if you aren’t into the whole pink milk thing, mix a bit of the syrup in with some seltzer water for a refreshing spring spritzer. Perfect for a sunny afternoon. In a medium saucepan, combine strawberries, lemon juice, water and sugar and bring to a low boil over medium heat. Stir to dissolve sugar. Allow to syrup to boil for 5 minutes and then mash strawberries with a potato masher. Reduce heat to a simmer and allow to cook for 5 more minutes. Remove from heat. Allow syrup to cool and then strain through a fine mesh sieve, using a spoon to extract as much of the syrup as possible. Save strawberry pulp to top ice cream or yogurt. Store strawberry syrup in an airtight container in the fridge for up to 5 days. 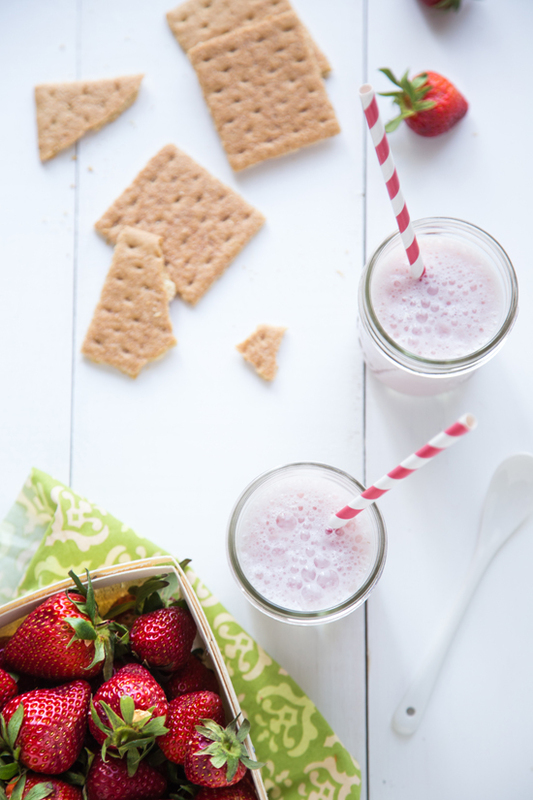 Mix two tablespoons of strawberry syrup into 6-8oz of milk. Drink and enjoy. YUM YUM…they still sell that nasty red syrup these days. YUCK. This is the real deal and it is delightful!